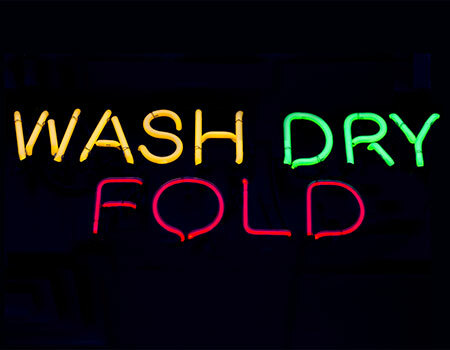 CHICAGO — Wash....dry....fold....and bank some green! Making healthier profits is the goal of many drycleaning businesses. Competitive market forces drive owners to look around for new income streams. The buzzword getting spun in the air today is “diversifying.” That means offering services beyond traditional dry cleaning. Many operators already offer wash and fold. But there are many who don’t. To the latter, we simply say this: It’s worth checking the action. On the surface, selling wash-dry-fold service is a matter of pure convenience to your customer via pickup and delivery. But folded into that model is the ability to offer the time-savings aspect of “doing your laundry” that many people despise. Millennials, it would seem, just by their casual style of dress, could be one of the main recipients of the service today. During a phone interview, Toltz shared his analysis of the wash-dry-fold segment and his business plan to reach potential customers. What is the advantage of offering wash-and-fold service? And it isn’t all walk-in. He says that about 20% of his total drycleaning business is route-driven but he’s not sure how much of that is wash-and-fold, as it’s not exclusive. We like to laugh, and so do you. We asked the cleaners interviewed to share a few surprising and humorous tales from the wash-dry-fold experience. Last but not least: “Pulling a Patagonia jacket out of the dryer in about 45 pieces was quite interesting. Patagonia (or a knock-off) uses glue on the seams, then says to dry on the care label. The glue definitely didn’t hold,” Foley says. Some surprises and humor naturally can be expected in any freshly developing market segment. If this segment is revealing to you an “agitation” toward growth, then “grow get it.” Many dry cleaners who pick up and deliver wash-dry-fold business discover an increase in dollar traffic right to their cash registers. Can you afford not to check out this service? The opportunity to suds up your revenue beckons, almost as loudly as, say, a lineman’s Tweety-Bird shorts! Miss Part One? You can read it HERE.